Figure 1: Finding a Game Boy screen in an image using Python and OpenCV. How does a Pokedex work? Well, you simply point it a Pokemon, the Pokedex examines its physical characteristics, and the Pokemon is identified instantly. In this case, our smartphone camera is our “Pokedex”. We point our smartphone at our Game Boy, snap a photo of it, and our rival Pokemon is identified (if you don’t believe me, you can see my Pokedex in action by watching this YouTube clip). However, there is a lot of information in our image that we don’t need. We don’t need the shell of the Game Boy case. We don’t need the A, B, up, down, left, right, or start or select buttons. And we certainly don’t care about the background our image was photographed on. All we care about is the Game Boy screen. 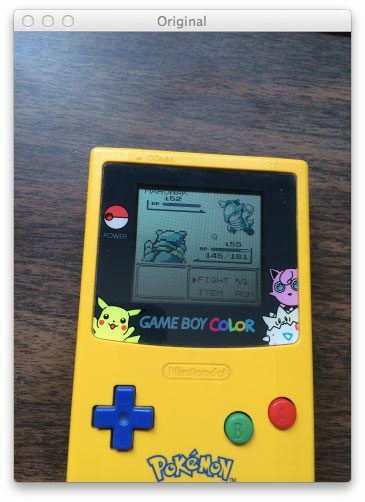 Because once we find that Game Boy screen, we can crop out the Pokemon, and perform the identification. In this post I’ll show you how to automatically find a Game Boy screen in an image using nothing but Python and OpenCV. Specifically, we’ll be using the OpenCV contours functionality and the findContours function in the cv2 package. This post is part of an on-going series of blog posts on how to build a real-life Pokedex using Python, OpenCV, and computer vision and image processing techniques. If this is the first post in the series that you are reading, definitely take the time to read through it and check it out. Being able to find a Game Boy screen in an image isn’t just cool, it’s super practical. I can think of 10-15 different ways to build a small mobile app business using nothing but Game Boy screenshots and mobile technology, such as smartphones. Sound interesting? Don’t be shy. Send me a message and we can chat some more. Anyway, after you read this post, go back to the previous posts in this series for some added context and information. Figure 2: Our original Game Boy query image. Our goal is to find the screen in this image. By the way, if you want the raw, original image, be sure to download the source code at the bottom of this post. I’ve thrown in my FREE 11-page Image Search Engine Resource Guide PDF just to say thanks for downloading the code. Okay, so now that we have our image, our goal is to find the screen of our Game Boy and highlight it, just as we did in the middle screenshot of Figure 1 at the top of this post. Lines 2-7 just handle importing our packages. We’ll make use of skimage, but I won’t go over that until the next blog post in the series, so don’t worry about that for now. We’ll use NumPy like we always do, argparse to parse our command line arguments, and cv2 contains our OpenCV bindings. We only need one command line argument: --query points to the path to where our query image is stored on disk. On Line 17 we load our query image off disk. We supplied the path to the query image using the --query command line argument. In order to make our processing steps faster, we need to resize the image. The smaller the image is, the faster it is to process. The tradeoff is that if you make your image too small, then you miss out on valuable details in the image. In this case, we want our new image height to be 300 pixels. On Line 18 we compute the ratio of the old height to the new height, then we make a clone of the original image on Line 19. Finally, Line 20 handles resizing the image to a height of 300 pixels. From there, we convert our image to grayscale on Line 24. We then blur the image slightly by using the cv2.bilateralFilter function. Bilateral filtering has the nice property of removing noise in the image while still preserving the actual edges. The edges are important since we will need them to find the screen in the Game Boy image. Finally, we apply Canny edge detection on Line 26. 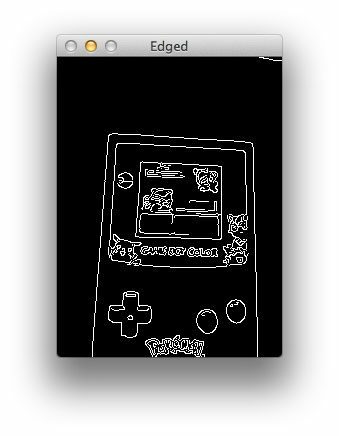 Figure 3: Applying edge detection to our Game Boy image. Notice how we can clearly see the outline of the screen. In order to find the Game Boy screen in our edged image, we need to find the contours in the image. A contour refers to the outline or silhouette of an object — in this case, the outline of the Game Boy screen. To find contours in an image, we need the OpenCV cv2.findContours function on Line 30. This method requires three parameters. The first is the image we want to find edges in. We pass in our edged image, making sure to clone it first. The cv2.findContours method is destructive (meaning it manipulates the image you pass in) so if you plan on using that image again later, be sure to clone it. The second parameter cv2.RETR_TREE tells OpenCV to compute the hierarchy (relationship) between contours. We could have also used the cv2.RETR_LIST option as well. Finally, we tell OpenCV to compress the contours to save space using cv2.CV_CHAIN_APPROX_SIMPLE. In return, the cv2.findContours function gives us a list of contours that it has found, but we have to parse it on Line 31 due to how the different versions of OpenCV handle contours. Now that we have our contours, how are we going to determine which one corresponds to the Game Boy screen? Well, the first thing we should do is prune down the number of contours we need to process. We know the area of our Game Boy screen is quite large with respect to the rest of the regions in the image. Line 32 handles sorting our contours, from largest to smallest, by calculating the area of the contour using cv2.contourArea. We now have only the 10 largest contours. Finally, we initialize screenCnt, the contour that corresponds to our Game Boy screen on Line 33. On Line 36 we start looping over our 10 largest contours in the query image. Then, we approximate the contour using cv2.arcLength and cv2.approxPolyDP. These methods are used to approximate the polygonal curves of a contour. In order to approximate a contour, you need to supply your level of approximation precision. In this case, we use 1.5% of the perimeter of the contour. The precision is an important value to consider. If you intend on applying this code to your own projects, you’ll likely have to play around with the precision value. Let’s stop and think about the shape of our Game Boy screen. We know that a Game Boy screen is a rectangle. And we know that a rectangle has four sides, thus has four vertices. On Line 43 we check to see how many points our approximated contour has. If the contour has four points it is (likely) our Game Boy screen. Provided that the contour has four points, we then store our approximated contour on Line 44. The reason why I was able to do this four point check was because I had only a very small number of contours to investigate. I kept only the 10 largest contours and threw the others out. The likelihood of another contour being that large with a square approximation is quite low. Figure 4: We have successfully found our Game Boy screen and highlighted it with a green rectangle. So there you have it, Part 1 of finding the Game Boy screen. Figure 5: Performing a perspective transformation on the Game Boy screen and cropping out the Pokemon. In this post I showed you how to find a Game Boy screen in an image using Python, OpenCV, and computer vision and image processing techniques. We performed edge detection on our image, found the largest contours in the image using OpenCV and the cv2.findContours function, and approximated them to find their rudimentary shape. The largest contour with four points corresponds to our Game Boy screen. Being able to find a Game Boy screen in an image isn’t just cool, it’s super practical. I can think of 10-15 different ways to build a small business using nothing but Game Boy screenshots and mobile technology, such as smartphones. In the next post, I’ll show how you how to apply a perspective transformation to our Game Boy screen so that we have a birds-eye-view of the image. From there, we can easily crop out the Pokemon. You website is awesome, I’m working on commuter vision field. focus on OCR. 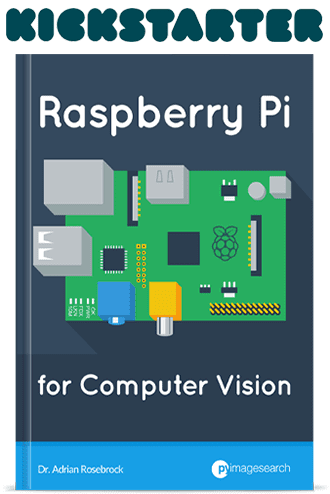 I find OpenCV+Python is a quick way to prototype computer vision field. You shared many great and fun stuff in your website, Thank you for your work. Sure, we can chat about that. Send me a message and we can talk. I am also intrested in this, maybe you could make some blog post abouth it. Maybe something along the lines of this? The code is still rough around the edges, I need to clean it up first. You need to install skimage from scikit-image.org first. Hey, just a heads up that this page seems to be a little broken layout-wise – all the others on your site are working for me. I also couldn’t find it using tags… Just wanted to let you know! Hi Shelly. I’ve updated the post to include the ‘pokedex’ tag. Can you send me a screenshot of the formatting that’s messed up? It looks normal on my web browser (Chrome on OSX). Thanks for the guide! This is an awesome post and blog. Very helpful. Hello Adrian its a very very helpful post but i have one problem, i need to get the cropped cheques from scanned jpeg in which the background color is white (A4) and the edges of the cheques are also white so its not able to pick the whole cheque rather its picking a portion from the cheque,i think its unable to identify because of the white border and background.. can you help me on this..
Keep in mind that it’s easier to write computer vision code for good environment conditions that bad ones. Simply put — don’t use a white background 😉 Select a background that contrasts your cheque color and this will make the project much easier to solve. If you don’t, you’ll simply make life harder for yourself and may have to resort to utilizing a bit of machine learning to find the cheque borders. This is especially wasteful if you can change your background. 1 : What if the four vertices contours is not the rectangle we need? 2 : How could you detect the rotation need to be adjust? to crop the image of pokemon, how could you let the computer knowthe image need to do some rotation? Hey Tham, great questions, thanks for asking. 1. If the four vertices do not correspond to the Game Boy, then indeed, the script will not work. Here we make the assumption that the largest 4-corner region is the Game Boy screen. 2. You can determine the rotation of the bounding box by using the cv2.minAreaRect function. But a better method is to simply apply a perspective transform and obtain the view of the screen, like we do in this post. Shouldn’t it be just [-2]? The above code will ensure cv2.findContours works for OpenCV 2.4 and OpenCV 3. Do we need to use “cv2.RETR_TREE” instead of “cv2.RETR_EXTERNAL”? Yes, if you wanted to follow the blog post exactly, used “cv2.RETR_TREE” instead. the return values are now 3 instead of 2 (as shown on the opencv docs pages). Just to follow up on this comment, for anyone interested in reading how the cv2.findContours method has changed between OpenCV 2.4 (which this tutorial uses) and OpenCV 3, be sure to read this post. Hey Sachin — contour approximation is can help with finding shapes, but if you do not have a complete side, then your shape is not a rectangle. In that case, you might want to look into morphological operations such as dilation and closing to help close the gaps between the sides. I demonstrate how to perform circle detection this post. For ellipse detection, take a look at scikit-image. Hey,i actually want to use like specific points on a part of the image.How can i use contours? I’m not sure what you mean by “use like specific points on part of an image”. Can you elaborate? You can read more about how the cv2.findContours function changed in between OpenCV 2.4 and OpenCV 3 in this blog post. Do you know how can I find the maximum square (not rotated rectangular) inside a specific contour, giving as parameter the square’s centroid? I need all square area fall inside the contour. Any advice? You can compute a normal bounding rectangle (not rotated) by using cv2.boundingRect(c) where c is the current contour you are examining. Converting the bounding rectangle to a square can be accomplished by finding the side with the largest length and adjusting all other sides to be equal to that length. This isperfect for my project. Do you know how to extract the coordinates of multiple bar codes? I need to extract 3 bar codes per image. Is there a way to change the command that sorts the contours to do this for me? Thank you! Hm, I think you might be posting this comment on the wrong blog post? This post doesn’t deal with barcodes. In any case, if you want to filter a set of contours (rather than simply grabbing the largest one), simply loop over them and ensure they meet a minimum width, height, or area requirement. I have an image that I am fiddling with to detect the outer contours . How can we chat ? I tried using contour sorting to get the largest areas and than use that to get only the outer edges but since my image is complex I am having issues. I am also a bit confused with your example because even the outer most edge is a rectangle as well. Why wasnt that detected? The outermost edge of what? The GameBoy? That’s actually not a rectangle — there is no bottom line to the edge. I have a peculiar question: is it possible to perform contour detection on one image only to “apply” the detected contours on a different image, given that the dimensions of the two images are identical. This is because I have an image that contains collages of photographs, and I aim to isolate those photos. Since it is hard to do contour detection on the original image itself, I’m thinking of doing the detection on another image (which is much more simplified), then ‘paste’ the resulting contours on the original to get the original photographs. Do you think this is possible? Or would you suggest any other approach? You mentioned that the dimensions of the two images are identical — does that mean they line up perfectly? If so, sure. You can absolutely detect contours in one image and then extract ROIs from another image. But you should make sure that the dimensions are indeed correct first. However, I get the impression that these images may not line up perfectly. In that case, you should apply keypoint detection, local invariant descriptors, and keypoint matching. 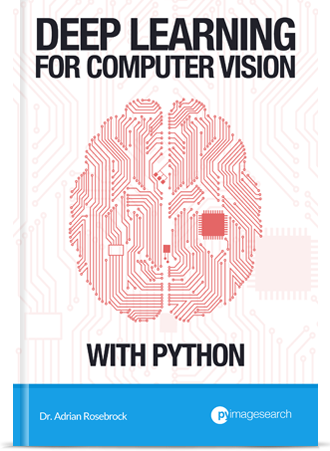 Inside Practical Python and OpenCV I demonstrate how to build a computer vision system that can match and recognize book covers in two separate images. The same technique could be used for your photograph collage project as well. A short time I have been accompanying his work, however, very interesting and motivating. From this, I chose my course completion topic on image recognition in python … I can already find the image and binarize it, but I need to find the center point of the object that exists in the image, which is a piece that first Is on a treadmill, a webcam takes a photo, identifying whether it is a circle or square, and whether it is red or green, then has an anthropomorphic robot to allocate a part in a predefined place for each feature of the piece. I would like your help, with tutorial indications that may make my work easier, or even a YouTube video with a similar application. Congratulations again for your work, I look forward to an answer. To find the centroid coordinates of an object in an image, compute its centroid. This blog post demonstrates computing a centroid. You should also use this post for help recognizing color and shape. Thanks for sharing this blog. Do you have step5 and step6 of this Pokemon series? Yes, you can find step 5 here and step 6 here. Hey Bams — for questions related to ANPR, I would suggest joining the PyImageSearch Gurus course where I discuss ANPR in detail. I can also provide suggestions on ANPR algorithms there as well. 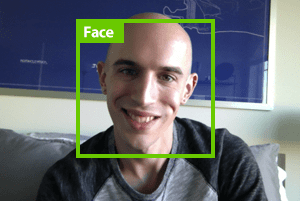 Take a look at my blog post on person detection. That will help you get started. Thanks for all your amazing tutorials, they are well explained. Hey Rezig, thanks for the comment. Do you know the size of the rectangle ahead of time? If so, just loop over all contours that have 4 vertices and then check if the width and height are within your requirements. thanks for your response, actually a figured out a way to do that by using the cv2.moments() or cv2.contourArea(ctr) to calculate the area of all contours and then looping over them to find the concerned rectangle. But it seams that is not very accurate because the rectangle that i am looking for has width=10 and heigth=100 so normally the area should be 1000 but the cv2.moments and cv2.contourArea(ctr) are giving an area=679 ! i wonder if you have any idea about ? would your method with contours that have for vertices be more accurate ? It’s hard to say what the exact error is without looking at your input image. But based on what you’re described, I think your rectangle might be rotated? And if so, the bounding box area would be different than the area itself. here is the image i am talking about http://imgur.com/a/DG0Ii (the backgroud is also a part of the image) and i am trying to get the positions of the paddles and the circle in the pong game, for that i am using cv2.houghCircles to detect the circle and cv2.contourArea to detect the paddles (as i said the paddle width and heigth are 10 and 100). is it the right way to do that ? It looks like your paddles are “touching” the borders of the image which might be causing the issue. Given that this is a screenshot of a game, I think it would be much easier to simply apply color thresholding to detect the paddles and ball. yes at first i tried your tutorial of color thresholding and it worked fine. But this solution depends on the computer’s backgroud colors (if it contains the same colors of the game that would make problems). so thats why i prefer to detect the paddles and the pong without refering to their colors ! My suggestion would be to continue working with thresholding then. After thresholding pad the image via cv2.copyMakeBorder and see if that helps you detect the paddles along the border of the image. It is always a nice experience reading your blog. I have a simple problem I cannot get my head around and it might be something you will come around in later blogs. The issue is quite simple. I have identified shape(s) in a image and drawn the contour(s) using cv2.findContours and identified the coordinates of the relevant x,y points for maintaining the shape. My problems starts when I want to extract these coordinates. Instead of below. Where one shape will be on multiple lines I would like something I can easily write to a file including metadata and import either again in python or store in a database. Where c is a specific contour. Hey Adrain, I am currently working on a project where I have to measure the size of various body parts like waist, hip, neck etc. from a frontal and lateral image of the person using openCV(I am currently working in python). Since there is an app Mtailor which evaluates the entire thing without any reference object and without taking height as input. But I am looking for taking height as input to make my job easier so that I can use it to calculate pixelpermetric and further use it for calculating size of other body parts. Now the thing is I have to draw contours for which I have thought of apporxPolyDP and then segment each body part approximately by using kollman’s distribution of the human body for which I have thought of using Watershed algorithm. You can go through this paper (https://www.kiv.zcu.cz/site/documents/verejne/vyzkum/publikace/technicke-zpravy/2012/tr-2012-11.pdf) to get more details on circumference computation and kollman’s distribution. Please guide me whether I am on the right track. I will really be grateful for your precious help. Thank you so much. Hi Pranjul — thanks for the comment; however, I must admit that I don’t have any experience working with extracting and measuring the size of body parts. My particular area of expertise falls in image search engines, image classification, and deep learning. This specific question is outside my area of expertise, I’m sorry I couldn’t be more help here! Hello Adrian, I am attempting to find two rectangles in a video loop, and have found success making this code into a video loop with opencv and python, but I am having trouble figuring out how to have 2 instances, and make the code lock on to the target live, without going off to my shirt or whatever else it seems to find. The point of it is to find the two rectangles, and be able to find the center in between them, which is simple for me to do as i just have to subtract coordinates, my main problem is having two instances of the contour detection. Thanks for the post! Hi Mark — do you have any example images of these rectangles you are trying to detect? That would likely help me understand your question better. Adrian, thanks for the great tutorials! I guess he has to track the coordinates of the previously found rectangles and limit future detection within limited regions around them, like with pixel motion-tracking. Mark, if you know or can anticipate where the rectangles would be initially, you may use this information as a constraint or a region of interest in order to “lock” them. In the following frames, search in the contour structure for rectangles with close-enough /closest coordinates and size, compared to the previous ones. The differences may be stored, so even if there is bad recognition – “jumping” contours – the program may extrapolate correctly the new ones for a while. If you need to determine which rectangles you’ve already found, I would suggest using the “centroid tracking method”. Using this method you compute center (x, y)-coordinates of your shapes and compute the Euclidean distance between these coordinates in subsequent frames. Coordinates with the smallest distance are assumed to be the same object. Thanks for the suggestion! I see the centroid coordinates are more versatile and stable to noise/small disturbances. If we ignore the specifics of rectangles, it would work correctly with contours with changing number of (recognized) vertices. Great tutorial. I am trying to read an image of a mathematical equation which contains an equal (“=”) sign. The problem is “findcontours” treats “=” sign as two separate “-” contours. But what I am looking for is “=” as a single contour. Is there a way to merge or group two adjacent contours as one? Hi Niraj — I would suggest you apply a “dilation” or “closing” morphological operation to your mask which will merge the two lines of the equal sign into one. how to crop the specific contour from the image?? Computing the bounding box via cv2.boundingRect and then use NumPy array slicing to extract it. I am trying to do this for traffic sign detection, but it did not work. I mean traffic signs shapes and sizes are different. What can I do to solve this problem? I would suggest training a custom object detector for each type of traffic sign you want to detect. 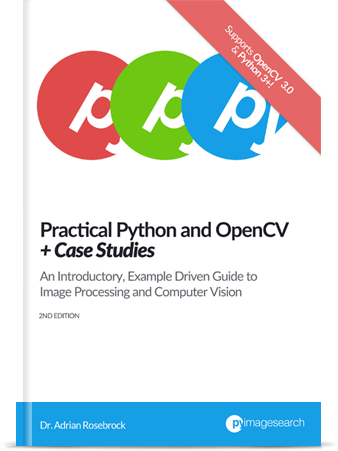 I have tried running this code on openCV 3.3.0 with python 3.5.2. I have made the corrections in order to run over python 3+. However, the code didn’t find the screen edge until I change the bilateralFilter for a GaussianBlur… I know they have different porpouse, but in that way I could get it work. For some reason the openCV and some software in laptop opened the image as if it would be 90 degrees rotated, I suspect they didn’t read the EXIF Tags. And when I executed the script the biggest contour was the blue-cross button. But after I opened the image and rotated to the right position and save it to disk, and then executed the script it worked… So, my question is, does “cv2.findContours” produce different results depending on the rotation of the image? The cv2.findContours function doesn’t sort contours in a particular fashion. I would suggest comparing the output of the edge detection map an dsee if that has changed. If you are having a problem recognizing lines at a distance you may need to use a higher resolution input image. I’m having a weird issue. Apparently the screen is not included in the contours that my cv2.findContours() function is detecting. Actually, after sorting, the contour with the highest area is the up-down-left-right button in the Game Boy!! Any clues of what I am doing wrong? The “cv2.findContours” function will not return the contours in any particular order or size. That is why we sort them according to size, shape, aspect ratio, etc. Take a look at this blog post on sorting contours for more information. We are currently working with our project that needs to locate identification card (ID) on the upper part of the body of the person and I found this tutorial useful. You’ve mentioned that if we intend on applying this code to our own projects, we’ll just play with the precision value. I tried changing the values but still it cannot detect the ID. Any suggestion? Hey Charice, do you have an example of the ID card you are trying to recognize? Depending on how complex the environment is where you are deploying your project you may need to train a custom object detector. Great post. You mention that findContours() is destructive. I’m not sure when that changed but now it’s not. It was changed in OpenCV 3. In OpenCV 2.4 (there was no OpenCV 3 when this post was written), the findContours method was destructive. I don’t understand this code ‘image = imutils.resize(image, height = 300)’. I tried height as 200 and 400, it can’t find the correct contour. Can you tell me why? You’ll want to take a look at the output edge map. It sounds like the edge map and/or contour approximation may be off, implying that the 4-points of the rectangle are not being detected. Hi Adrian, I have just started learning & working on Image Processing and your blogs help me a lot to make it easy to understand. However, I want to thoroughly understand the pixels level calculation. I mean everything from basics. So, can you please help me with some ideas on that as in the blogs or references to study. Thanks really appreciate your efforts. 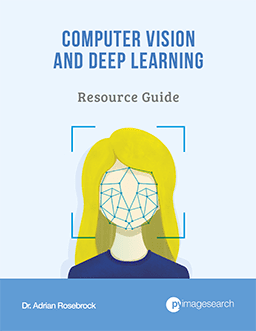 If you’re interested in the fundamentals of computer vision and image processing I would recommend you read through Practical Python and OpenCV where I teach the basics. Hey! when i run the code the following error occurs. Thanks Moez 🙂 I actually have a tutorial on QR/barcode recognition available here. Hey there Moez — I’m happy to provide all of these 300+ tutorials on the PyImageSearch blog but if you would like to modify them in any way feel free to do so, but realize that I cannot make the modifications for you. This blog is provided as a free resource for you, please respect that. Your website just made me want to learn more. It’s amazing! Can’t agree more!! Great Job Adrian. You have the special gift of teaching!